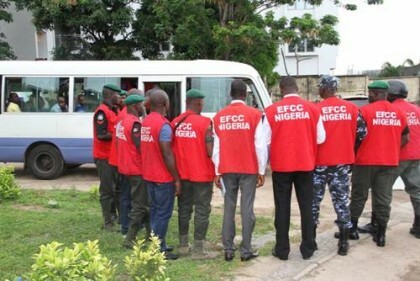 Wilson Uwujaren, Abuja; The attention of the Economic and Financial Crimes Commission, EFCC has been drawn to a report captioned, Nigerian State Governors, Senate President Saraki Pocketed Billions of Naira from Paris Loan Refund, which appeared in the online news portal, Sahara Reporters on Sunday February 12, 2017 .
he report among others claimed that the Commission has indicted all the governors of the 36 states of the Federation and the Senate President, Bukola Saraki in the ongoing investigation of the reimbursement paid to state governments by the Federal Government for excessive deduction charged to them on account of the Paris Club and other international loans. The Commission wishes to state unequivocally, that no state governor or Senate President has been indicted so far by the investigation which is still at a preliminary stage. Also, insinuations about cover up by some officials of the Commission are untrue as there is no incentive to do so. The Commission implores the Media to be circumspect in the reportage of this delicate issue in order not to jeopardize ongoing investigation, and be assured that they would be fully briefed of developments as soon as breakthrough is achieved.